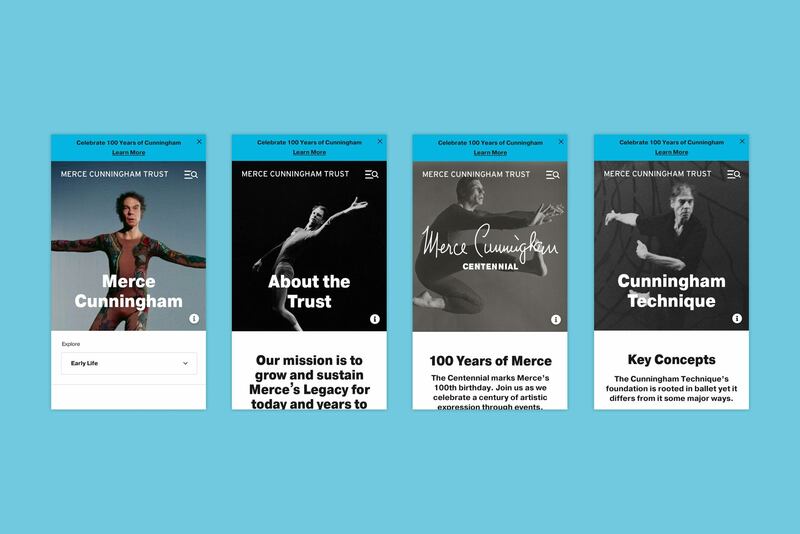 Barrel worked with the Merce Cunningham Trust to design a new website to celebrate and continue Merce Cunningham’s legacy. 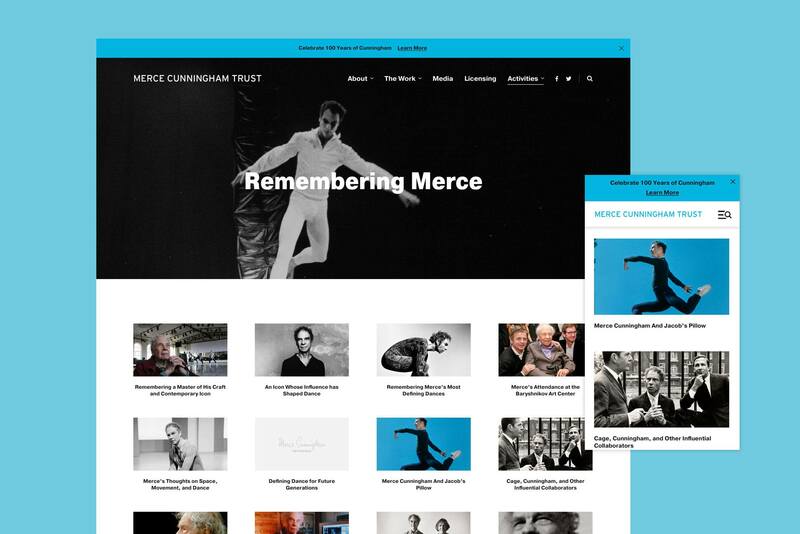 The new website coincides with the Merce Cunningham Centennial, a series of performances, classes, and content to celebrate Merce Cunningham’s work. The new websites features a modular design system to support a vast historical archive of video and written content and highlight ongoing programming. 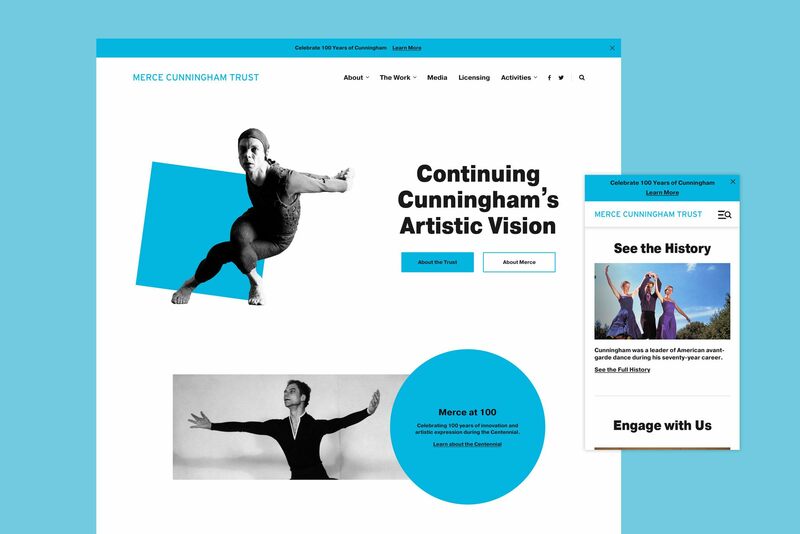 The website supports the mission of the Trust of carrying Merce Cunningham’s legacy into the future through content about Merce Cunningham, information on how to license his work, and resources for learning the Cunningham Technique. The Merce Cunningham Trust website adds to Barrel’s expansive work in the arts with organizations such as Jacob’s Pillow Dance, Alvin Ailey American Dance Theater, and Dance Theatre of Harlem. Check out the site at mercecunningham.org.